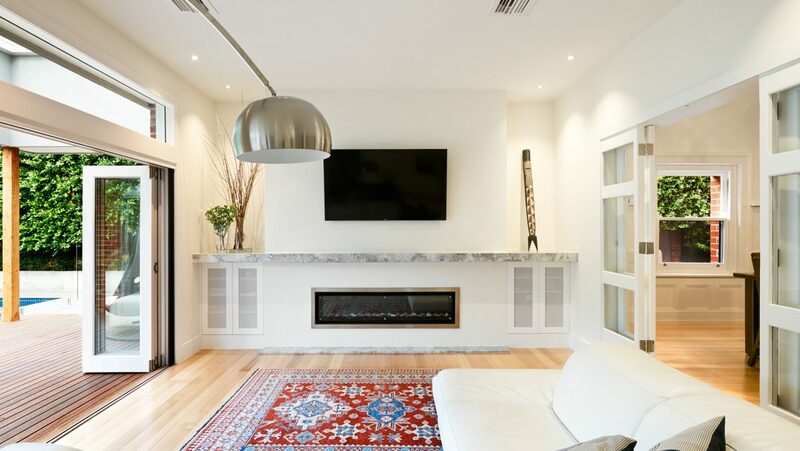 Bringing together a comprehensive design brief and the majestic features of a heritage home – to create an executive quality home and retreat in the inner city. 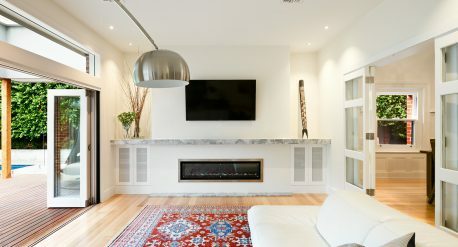 This is a renovation and extension to an existing heritage dwelling, designed to accommodate executive living and entertaining. Our client wanted to re-unite the ground and upper floors of their existing home, add new living areas, create formal and informal outdoor recreation spaces, and add a pool and gardens. 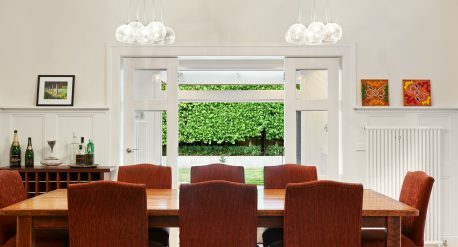 The result – returning a heritage home to its former glory, whilst adding a complement of living areas, and a series of garden spaces surrounding the home. 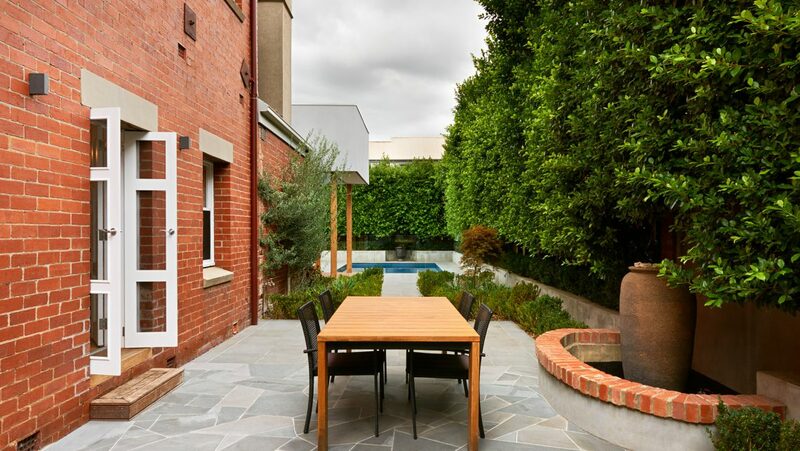 Discovering the history and heritage of the existing home, whilst adding new functionality to a somewhat exposed rear yard. 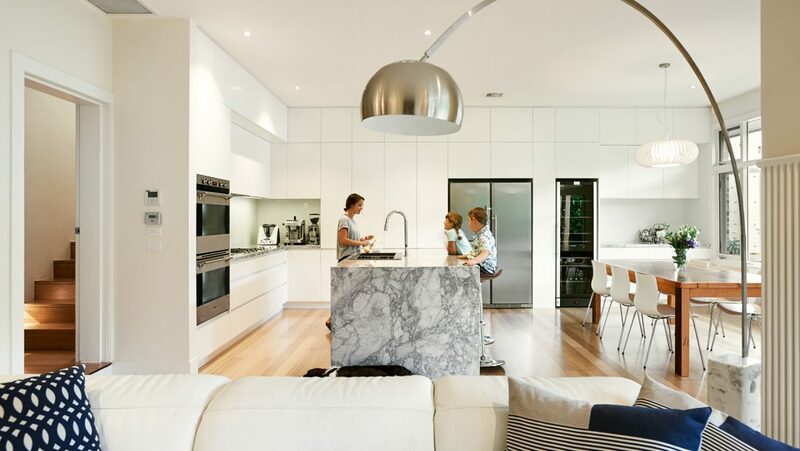 It took some consideration to reorganise the complement of new living areas at the rear – and some smart design to mitigate neighbours overlooking and the late afternoon sun – whilst creating a contemporary layout and design to parallel the majesty of the existing home. The existing building has been reorganised to reconnect ground and first floors. The new stair connects these floors and is readily accessible from the grand, central hallway. 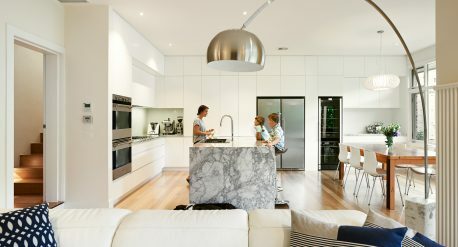 New living areas provide open plan living, meals and kitchen. 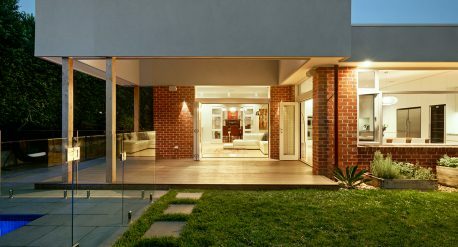 These areas abut the existing home, whilst providing visual connection with the (now private) garden areas, including pool and covered outdoor dining. Our client required an executive quality home. 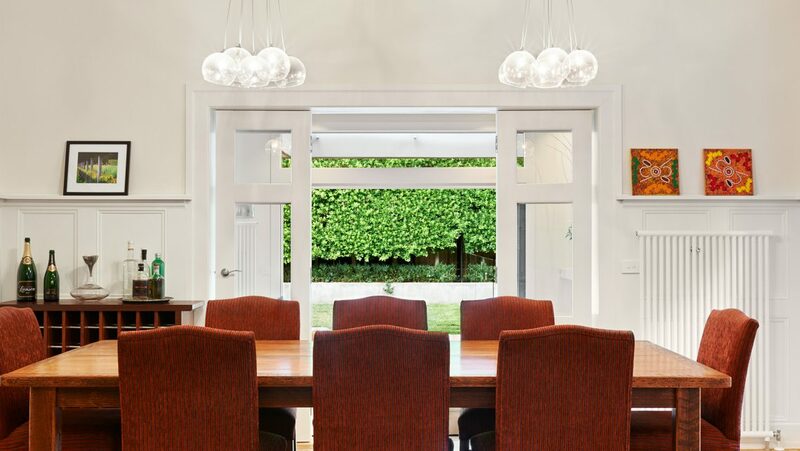 The quality and elegance of the original home already provided the basis for this. 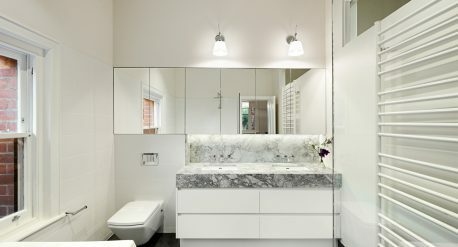 All new spaces and materials designed were intended to contribute to a quality, highly liveable home.